Just Listed :: Lilburn Home with Rocking Chair Front Porch! Welcome home! 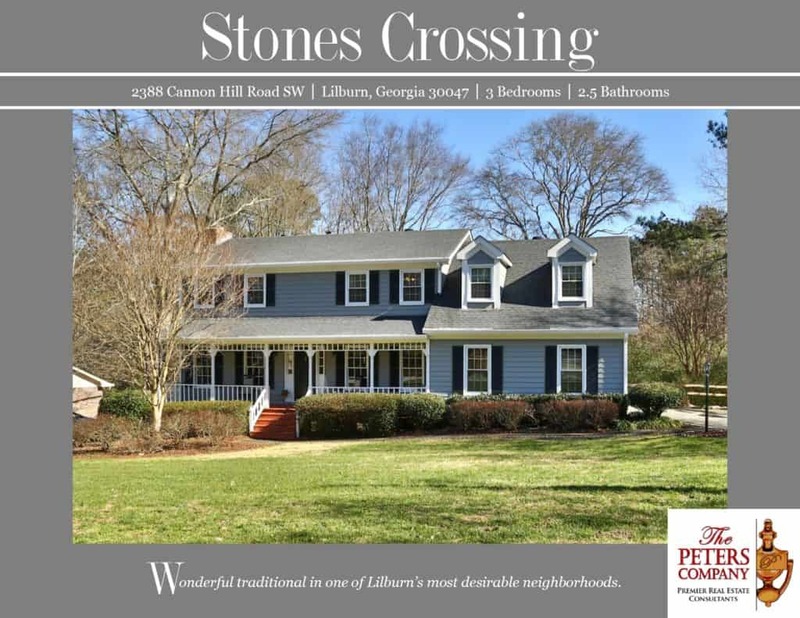 Nestled in the popular Stones Crossing neighborhood, this is just the home you’ve been looking for! The flowing floor plan, custom features, and charming character will never go out of style. The close proximity to Highway 78 and Scenic Highway makes this home convenient to and from any direction. You’ll also enjoy being close to many well-loved restaurants and shopping spots! Nature enthusiasts will love being only minutes from Stone Mountain Park! Kitchen features ample cabinet and counter space, stainless steel appliances, and a wonderful breakfast area with bay window. Large living room has a cozy fireplace with brick surround. Main floor half bathroom is ideal for guests. Master suite is a true retreat including a walk-in closet and attached master bathroom. Large bonus room would make great 4th bedroom, home office, or playroom. Finished room in basement would be great for a home office, playroom, or media room. Unfinished area provides tons of storage space. Garage easily fits two vehicles with room for storage. The park-like backyard features plenty of green grass and a tranquil creek. Wonderful curb appeal including a rocking chair front porch.